India's Top 50 Attractions in..
Shimla got its name from a Hindu Goddess ‘Shyamala Devi’ who is an another incarnation of Goddess Durga. Kufri is a great place to unwind-with panoramic views of the Himalayas, adventure sports, steep hikes. Manali is a popular hill station located in the Indian state of Himachal Pradesh. Manali is situated at an altitude of more than 2000 m from where the eyes fall on the views of forests, orchards, river, mountains ranges and more, for nothing but sheer visual delight. Manali is one of the best honeymoon destinations of India. Manali is located at northern end of Kullu valley. With the help of Lord Ganesha Rishi Ved Vyas wrote the epic Mahabharata at the source of the Beas. This river Beas orgininates from Manali. Make a Delicious and happy tour with family, Holidaytravel.co stands to make your holiday trip with great and memorable tours. • Full Scenic and Quaint View Of Kufri Hill Station. • All Sightseeing and Major Attractions of Kufri liking Skiing, Himalayan national Park, Mahasu Peak. • Full Scenic and Quaint View Of Manali. • All Sightseeing and Major Attractions of Manali like ,Hadimba temple, Manu temple, Vashisht Bath, Van Vihar, Tibetan Monastery, Club House, Rohtang pass. 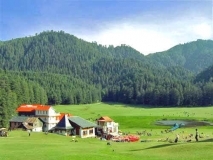 ​Escape from a city of 20 million to city of only 20,0000 ( Population of shimla & Manali). Manali Shimla Tour package from Mumbai is Holiday Travel's Most Famous and successful package with more than 1000 tour Bookings specially for elders and middle aged and Still Growing . We have managed to offer this special package for elders due to careful planning and indepth research on how to make this package unique in the whole industry for Elders or Seniors or even Disabled. Visiting Shimla & Manali is once in a lifetime opportunity for the elderly. Hence you are suggested to take on this Journey, even if you feel you are too old, do not Worry, Holiday Travel is there to help you with in every step of Jour Journey. We have made special arrangements to make your Shimla Manali Journey relaxed and comfortable. For Shimla, we board the UNESCO Heritage Train from Kalka, infact the journey to Shimla is more beautiful than Shimla Itself. The Kalka–Shimla Railway is narrow gauge train navigating thorough high himalayan mountain route from Kalka to Shimla. The Journey offers dream breathtaking views, panoramic vistas of the Himalayas, Spectacular scenery on whole route to keep you spell bound. You will cross 103 tunnels and 864 bridges in just 5 hours journey. We recommend to board KALKA DELHI HOWRAH MAIL (Train no. 12311) from Old Delhi Railway Station which reaches Kalka at 04:30 a.m. From Kalka, onboard journey is on SHIVALIK DELUX EXPRESS (Train No. 52451) at 05:30 a.m. and reaching Simla at 10:15 a.m. In this way elderly have full relaxation and ample time to chill out. On our Return, we have made special arrangement to take you to Timber Trail Resorts, Parwanoo through the cable car. Accommodation in Senior-Elderly-Disabled Friendly Quality Hand Picked Hotels for 2 Nightsin Shimla,3 Nights in Manali. Special Historical Tour of Shimla for Elders. Local Site Seeing in Shimla & Manali. One Full Day trip to Rohtang Pass- Snow Line Solang Valley. Pick up from Delhi Airport/ Railway Station Drive to Shimla. It is arround 350 km and take 7-8 hours to arrive Shimla. The journey is too long so we will break journey at Chandigarh. Have lunch and some rest there and then proceed to Shimla. After arrival check into hotel, rest of the day is for your lesiure and overnight stay at Hotel. Breakfast & Dinner: Served at Hotel. After breakfast we check out from hotel and proceed to seeing local like mall road, Jakhoo Hill, Summer Hill, Tara Devi temple, Indian Institute of advance studies and in evening night come back to overnight stay at hotel. Summer Hill: - Summer Hill is also called as Potter’s Hill. In the past, this was where potters used to gather clay to make pots. At a height of 1283 meter above sea level, Summer Hill offers spectacular views of the valley and the greenery around. It is 5 km from the famous Ridge, which is frequented by tourists in great numbers. The hill is a part of a cluster of seven hills, which form Shimla and hence you are sure to have breathtaking sights from the top. You proceed to Kufri Local sightseeing Himalayan national park, indira Gandhi national park, and after that in evening Check into hotel at Kufri and overnight stay there . After Breakfast You will Visit to Kufri Local sightseeing Himalayan national park, indira Gandhi national park, and after that in evening Check into hotel at Kufri and overnight stay there . After breakfast proceed for Manali by surface. En-route to Manali visit Kullu Valley-the Valley of Gods. Kullu Valley is just like a dreamland where the beautiful Beas River runs through the middle of the valley. Transfer to hotel. Spend the rest of the day at leisure at hotel. Overnight at hotel. Hadimba Devi Temple: Manali has many attractions but the chief centre of interest, historically and archeologically, is undoubtedly the DHOONGRI TEMPLE dedicated to goddess Hadimba, the Bhim of Mahabharata fame. It has four-tiered Pagoda shaped roof and the doorway is carved with legendary figures and symbols. Manu Temple: It is around 3 kms from the main Bazar in old Manali lies the temple of MANU RISHI. It is believed that this is the only temple of Manu in India, who was the creator of human race on the earth. After breakfast you will proceed to Chandigarh In Route Take lunch and some rest ,After that proceed to Chandigarh When Arrive Chandigarh Check-into Hotel and Overnight stay. After breakfast visit local sightseeing of Chandigarh like Rock Garden, Rose Garden, Pinjore garden and Sukhna Lake. Then proceed to Delhi Our representative drop you at Delhi Airport/Railway station. Mall Road:-Shimla‘s most popular spot is the Mall Road, which is its main street and a common hang-out place for visitors. It is here that you can witness all of Shimla’s vibrant qualities – its beautiful weather, its lovely locals and its amazing holiday atmosphere. All the shops, stores, cafes and everything of use is located along this road. The Mall road is one level under the Ridge road which is another famous tourist spot. Rohtag pass:Rohtang Pass is a very beautiful and popular spot in Manali .T he best time to visit the pass is between May/June to October/November. In the month of May,Rohtang becomes a hotspot for adventure enthusiasts. Tibetan Monestry:There are 3 newly constructed colorful monasteries, where visitors can buy carpets and other Tibetan handicrafts. Two are located in the town and one at Aleo on the left bank of Beas River. Vashisht Hot Water Spring And Temple (3 kms):Vashisht is a small village located on the left bank of river Beas towards Rohtang pass is worth a visit. It is renowned for its hot springs and temples. Nearby is the pyramidal stone temple dedicated to Vashist Muni. Question - what is 4 days shimla package for couple from mumbai? Answer:-At HolidayTravels, we understand that honeymoons are a most memorable event of a couple’s life we provide perfect Honeymoon Tours for our clients. Itinerary :3nights/04Days - The itinerary will be Delhi to Shimla (9hrs)night stay> Shimla local sightseeins nightstay>:Shimla : Excursion to Kufri and Naldehranightstay >: Shimla to Delhi return. Question - what is 7 day Shimla Manali Tour package from Mumbai - Package Itinerary? Answer:- The itinerary will be Delhi > Shimla (9hrs), 2 nights stay at Shimla. > Manali (3 nights stay) > Chandigarh (overnight Stay) > Delhi. Total 6 nights. Question - What is a complete itinarary for shimla manali? The itinerary will be Chandigarh > Shimla (3hours), 2 nights stay at Shimla. > Manali (3 nights stay) > Chandigarh . Total 5 nights. Question - Explain Bombay to shimla Manali tour package? If Pickup from Delhi when itinerary is:- The itinerary will be Delhi > Shimla (9hrs), 2 nights stay at Shimla. > Manali (3 nights stay) > Chandigarh (overnight Stay) > Delhi. Total 6 nights. If Pickup from Chandigarh when itinerary is:- The itinerary will be Chandigarhi > Shimla (3hours), 2 nights stay at Shimla. > Manali (3 nights stay) > Chandigarh . Total 5 nights. Question - Group package tour to shimla kullu manali from Mumbai is Possible at cheap costs? If Pickup from Delhi when itinerary is:- The itinerary will be Delhi > Shimla (9hrs), 2 nights stay at Shimla. > Manali (3 nights stay) >kullu(1nightstay)> Chandigarh (overnight Stay) > Delhi. Total 7nights. If Pickup from Chandigarh when itinerary is:- The itinerary will be Chandigarhi > Shimla (3hours), 2 nights stay at Shimla. > Manali (3 nights stay) > kullu(1nightstay)> Chandigarh . Total 6 nights. The itinerary will be Delhi to Chandigarh(overnight Stay)>Chandigarh to Manali(3nightsstay)< Chandigarh (overnight Stay)<Drop Delhi.Total5nights. Question - Which is Best tour packages from mumbai to shimla? Answer:- If Pickup from Delhi when itinerary is :The itinerary will be Delhi to Shimla (9hrs)night stay> Shimla local sightseeins nightstay>:Shimla : Excursion to Kufri and Naldehranightstay >: Shimla to Delhi returns. Question - Himachal tour packages from Mumbai? Answer:- HolidayTravel offers exciting Tour Packages in Himachal Pradesh. Our Himachal Packages cover tour to Shimla, Manali, Dharamshala, Rohtang ,Dalhouise and many more beautiful places in this state. Special Mumbai to Himachal tour package- 01 Night Nalagarh Heritage Fort / Chandigarh City SiteSeeing and Stay<02 Nights Shimla <03 Nights Manali ( with Stay in Select Highest Standard Hotels in Shimla/Manali)<return Delhi/Chandigarh.total 6nights. Question - Cost of holiday package from mumbai to shimla with air ticket? Answer:- Flight From:- Mumbai to Chandigarh< By Road Shimla (3hours), 2nights stay at Shimla<Chandigarh (night stay) <return flight Chandigarh to Mumbai Total 3nights. Question - holiday packages between mumbai and manali? Shimla & Manali Tour Package from Mumbai Ahmadabad Kolkata with Full SiteSeeings with Rohtang Pass and Nalagarh Fort. Question - holiday packages from mumbai to kullu manali? Kullu Manali & Rohtang Tour package Per ( 3N-4days). Question - holiday packages from mumbai to shimla? Question - kullu manali tour package from mumbai by train? Question - Package mumbai to manali tourism? Question - Package tour from mumbai to shimla & kullu manali? Question - package tours from mumbai to manali & shimla? Question - manali trip package from mumbai with stay Costs? Question - Mumbai shimla kullu manali tour packages? Question - Mumbai simlah package tour? Question - mumbai to kullu manali tour package? Answer :- Kullu Manali & Rohtang Tour package ( 3N-4days). Question - mumbai to manali family package? Question - mumbai to manali honeymoon packages? Dry nuts & Cookies in the Room once during stay. Accomodation in Floral Decorated Balcony Room. Meal credit of Rs. 3000/-. Cake and Fruit Wine in the room (once during stay). Couple Spa Therapy at TVA of Rs. 3000/- value. Complimentary use of Bodyline Gymnasiun. Private Candle Light Dinner once during stay. One sitting of Jacuzzi for the couple. Extension on pro-rata basis with meal credit of Rs. 1200/-. Question - mumbai to manali tour package? Question - mumbai to shimla full package? The itinerary will be Delhi to Shimla (9hrs)night stay> Shimla local sightseeins nightstay>:Shimla : Excursion to Kufri and Naldehranightstay >: Shimla to Delhi return. Question - mumbai to shimla honeymoon packages? Accommodation in a Premier Room of a luxury 5 Star Hotel on twin sharing basis. 15% savings on spa therapies. Question - mumbai to shimla manali aeroplane Flight rate? CHEAPEST FLIGHTS FROM, MUMBAI TO CHANDIGARH ,CHANDIGARH TO MANAI . Question - mumbai to shimla package tour? Question - mumbai to shimla Volvo? Answer:- You need to come first to Delhi by train or Flight, Direct volvo from mumbai to Shimla not available. Volvo Bus service is available from Shimla to Mumbai. Question - shimla and manali cheap tour packages? You have arrived at the right page, Only Holiday Travel company based in Himachal gives you the best and Cheapest rates for the Himachal Shimla Manali. We are approved by Department of Tourism Himachal. Mumbai to Chandigarh By air< Chandigarh to Shimla By Road 2 nights stay at Shimla. > Manali +Kullu(3 nights stay) > Chandigarh (nightstay)to Mumbai By air Return. Total 6nights. Mumbai to Chandigarh By Train Chandigarh to Shimla by Road<2 nights stay at Shimla. > Manali+Kullu (3 nights stay) > Chandigarh (nightstay )to Mumbai train ReturnTotal 6nights. Best direct train from Mumbai is Paschim express from Bandra Terminus Mumbai to Kalka at 11:00 AM and reaches Kalka by 4:00 PM the next Day. You can proceed to shimla by road, but the better is go by Heritage Toy train, The advantage of this train is that you can board the connecting train to Shimla by Heritage Himalayan queeen express, From kalka , shimla is Just 90 kms from Kalka and takes 6 hours from Kalka Railway station. Chandigarh is the nearest airport for Shimla, Jubarhatti is closed these days, more over it is only for small aircraft. There are daily flights from Mumbai to Chandigarh. Shimla is 120 Kilometers from Chandigarh and Manali is 320 Kilometers from Chandigarh.